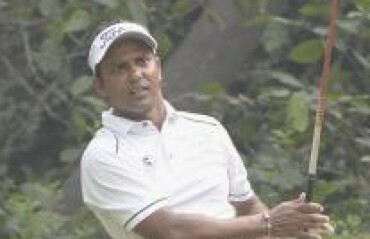 INDIAN GOLFER HIMMAT RAI failed to beat Spaniard Sergio Garcia in the extra hole play-off to finish joint runner-up in the $1.5 million Ho Tram Open in Vietnam on Sunday. 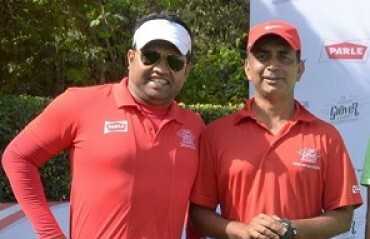 Himmat, whose lone Asian Tour victory came in 2011, charged into contention with a birdie, birdie, eagle run from the 14th hole but rued a three-putt bogey on 18 in regulation play which proved costly at the Bluffs Ho Tram Strip course. The World No.1440 scored four-under 67 that took his 72-hole total to 14-under 270 (66-69-68-67) -- same as Garcia (68), Chinese Taipei’s Lin Wen-tang (70) and Thai veteran Thaworn Wiratchant (67) as they forced extra-time contest which left spectators at the edge of their seats. 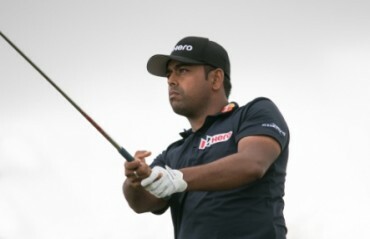 In the first extra hole on 18th, 35-year-old Garcia, who has now won five titles on the Asian Tour, drained a massive 35-foot birdie putt which was matched by Himmat, who coolly converted from five feet after Lin and Thaworn missed their birdie attempts. 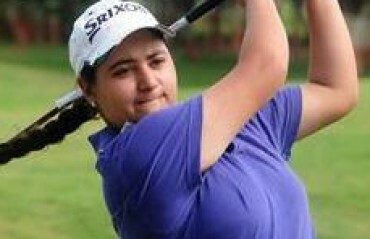 World No.12 Garcia then claimed a popular victory with a par after Himmat dropped a bogey after finding the bushes with an errant drive. 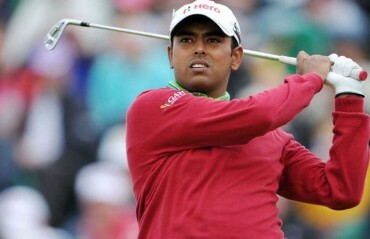 However, the 28-year-old Indian took comfort that his joint runner-up cheque of $111,500 was more than enough to safely secure his Asian Tour card for next season after starting the week in 116th place on the Order of Merit. He is now 35th in the Order of Merit. 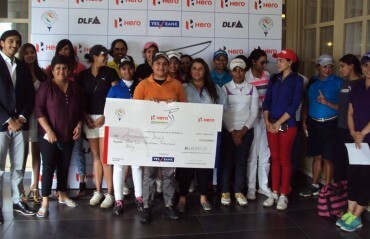 Top 60 golfers at the end of the year secure their card. 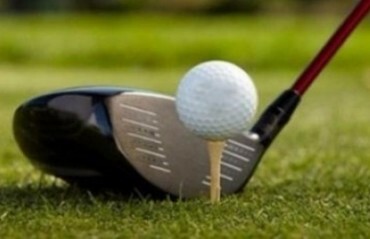 Two more tournaments -- Thailand Championship and Philippine Open -- are left to be played in the Asian Tour calendar. "I enjoyed it because I played really good. 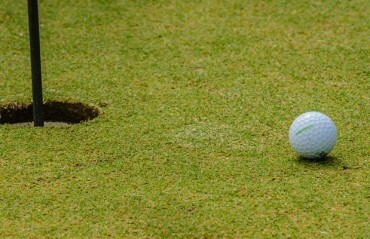 On the second play-off hole, I just rushed it. I wasn't feeling comfortable with my grip and I should have backed off. I was a little bit disappointed,"
Himmat said in a release. 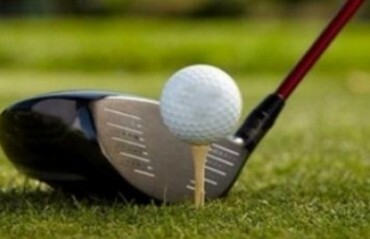 "I was showing signs of improvement this year. The game was there. It was about putting it together and I'm so glad I did it this week. 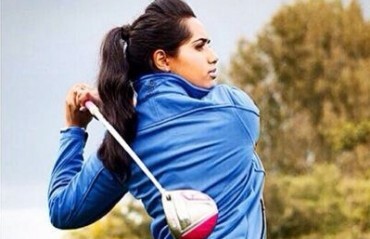 Thank God, it has all worked out and I have an Asian Tour card for next year. It was looking very bleak." 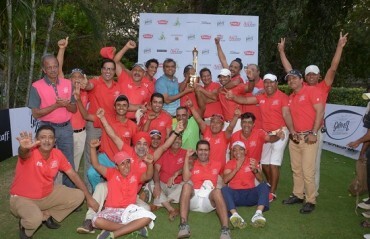 Garcia’s 23rd career Tour victory and his first since January, 2014 came with a cheque of $270,000. “Winning is never easy. I was fortunate and you have to be lucky to win. I was fortunate to get a second chance after I pretty much gave it away. I’m very happy as I haven’t won in a while. After you’ve been up there and you don’t win, a lot of things go through your mind and this win will help give me a little bit more confidence,” said Garcia. Starting the day two back of overnight leader Lin, Garcia stormed out with a stunning outward 29 to open up a three-shot lead before his game surprisingly unravelled with a bogey on the 10th and a double bogey on the 17th. 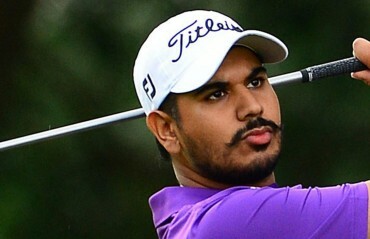 Next best Indian was Rahil Gangjee who scored 67 to be tied 21st -- a jump of 19 places -- on four-under 280 total (66-76-71-67). 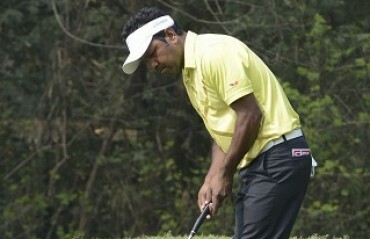 One shot behind him was veteran Jeev Milkha Singh, who finished tied 26th on 281(70-73-68-70). 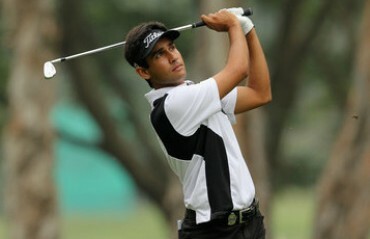 Gaganjeet Bhullar was tied 44th on one-over 285 (66-73-73-73), while Khalin Joshi scored 75 to be 63rd on 294 total.